Madonna fragrance and perfume list. Madonna fragrances: by Coty Inc. Madonna is an American pop singer, fashion designer, and icon. Madonna (born Madonna Louise Ciccone on 16 August 1958 in Bay City, Michigan) is an American pop singer, songwriter and icon, who's singles include Like a Virgin, Vogue, and Music. 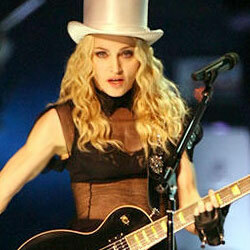 She was inducted into the Rock & Rock Hall of Fame in 2008. She partnered with Coty Inc. to release her debut fragrance, Truth or Dare.